Our nursing team plays a key role in our organisation. The support our nursing team provides to the Gynaecology team when carrying out its daily tasks, during both consultations and surgery, and its caring, patient-centred approach (the fruit of experience) have allowed Ginefiv to become an efficient, flexible institution offering top quality assistance. 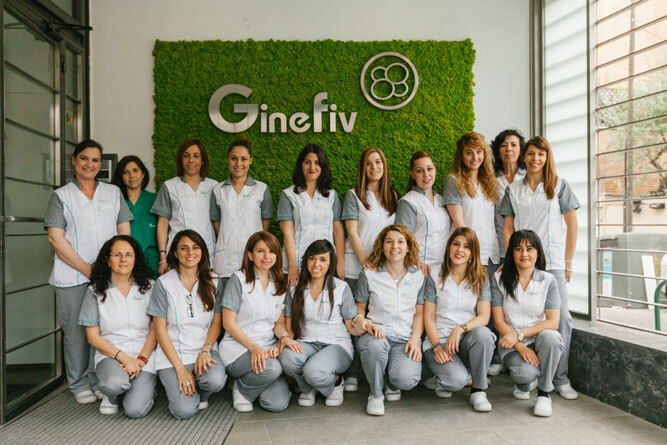 Led by Cristina Fincias, it is made up of qualified nurses and nursing assistants with an average of 6 years' experience in assisted reproduction, making it one of the teams most experienced in the treatments of patients with fertility problems.